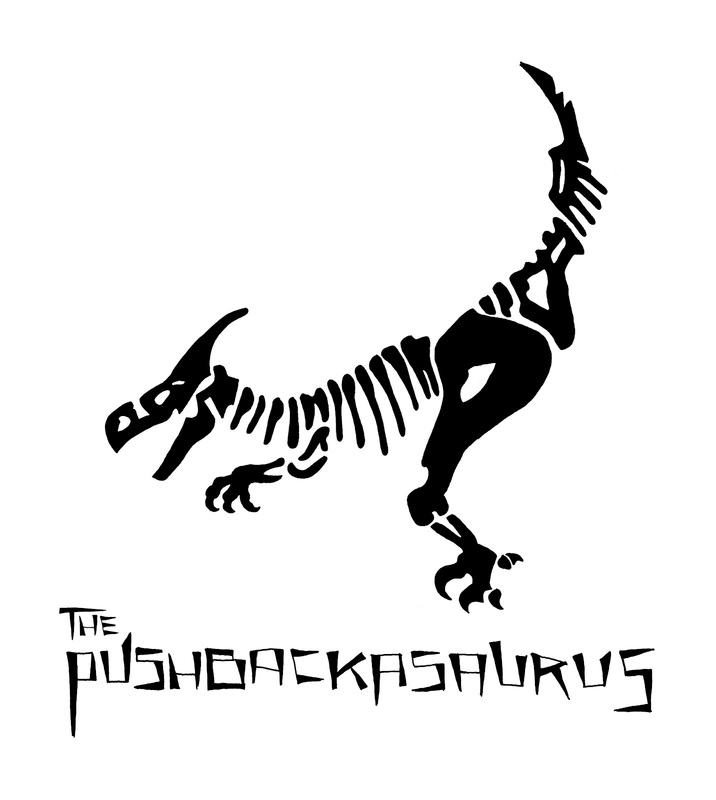 The Pushbackasaurus was a bipedal omnivore with a rear that extended beyond it's head. Remains of the Pushbackasaurus can be found throughout the Caribbean Islands and along parts of South America's Northern coast. It's large posterior was designed to push back (or back-back), a movement used for attracting mates, defending against predators and necessary to their survival.